The color blue inundated the halls of Dishman Elementary as the entire school eagerly awaited the news they’d been longing to hear for eight long months – that they have been named a National Blue Ribbon School. 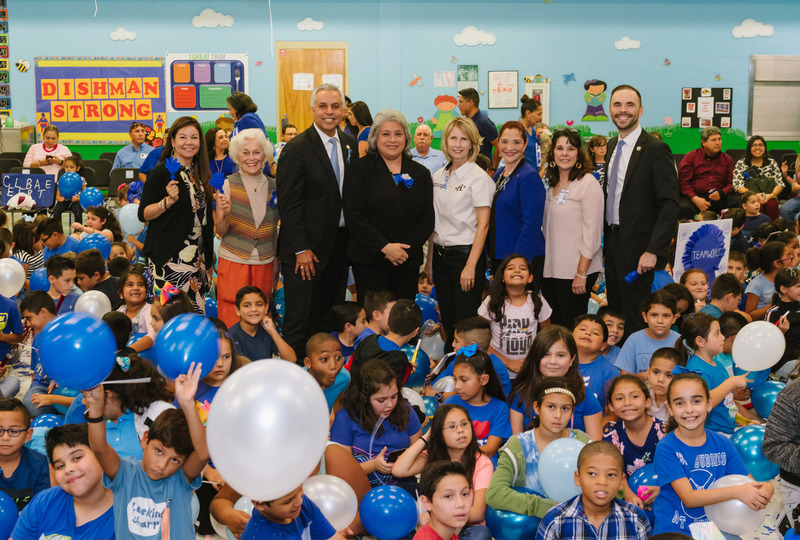 Students, teachers, staff, and Harlingen CISD administrators alike erupted in celebration as Dishman’s name came up on a video announcement from the U.S. Department of Education. The school is one of 349 schools across the country to receive the coveted award and the first at HCISD to ever receive the honor. The recognition is based on a school’s overall academic performance or progress in closing achievement gaps among student subgroups. Over the years, Dishman has accumulated many accolades such as being named a Texas Honor Roll School in 2016 and 2017 as well as earning all six possible distinctions in the 2017 and 2018 Accountability Ratings.